My proposal for the New Works and Creative Residency Program 2018 consists of a number of projects focusing on the design and manufacture of new hardware for the purpose of facilitating creative expression. 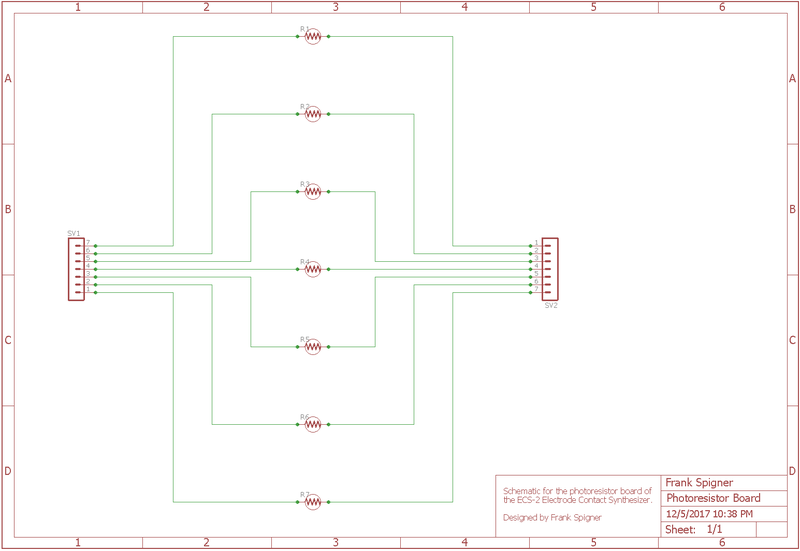 In addition to several hardware design projects, I will do several productions which involve the use of my designs, as well as a number of other components, such as multichannel mixing for spatiotemporal composition and performance. 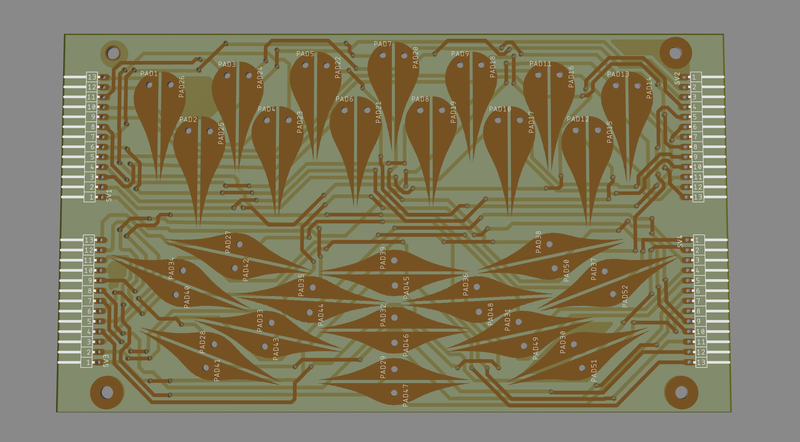 In addition to the use of my hardware designs for use in my own work, I would also contribute whatever products I manufacture to the equipment inventory for the Harvestworks Studio PASS program. 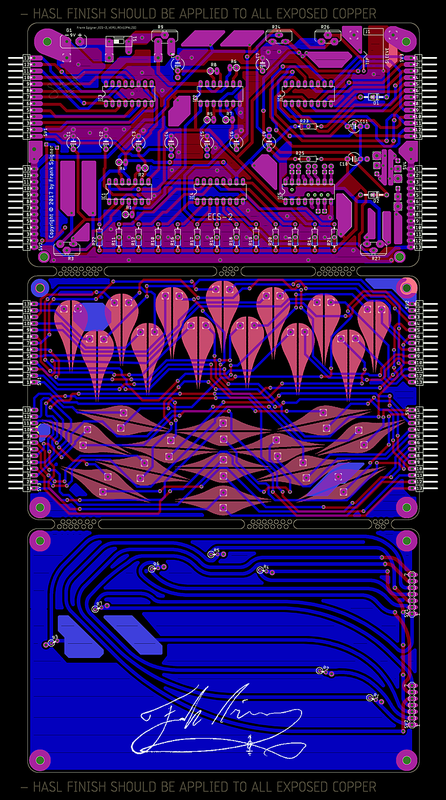 I am currently developing a synthesizer, which I call the ECS-2 (‘electrode contact synthesizer-2’), which is an analog synthesizer that utilizes three printed circuit boards, one board for the main circuit components, one which has photoresistors (each one controlling frequency material), and one board that has electrode contacts to be played by the fingers of the musician. 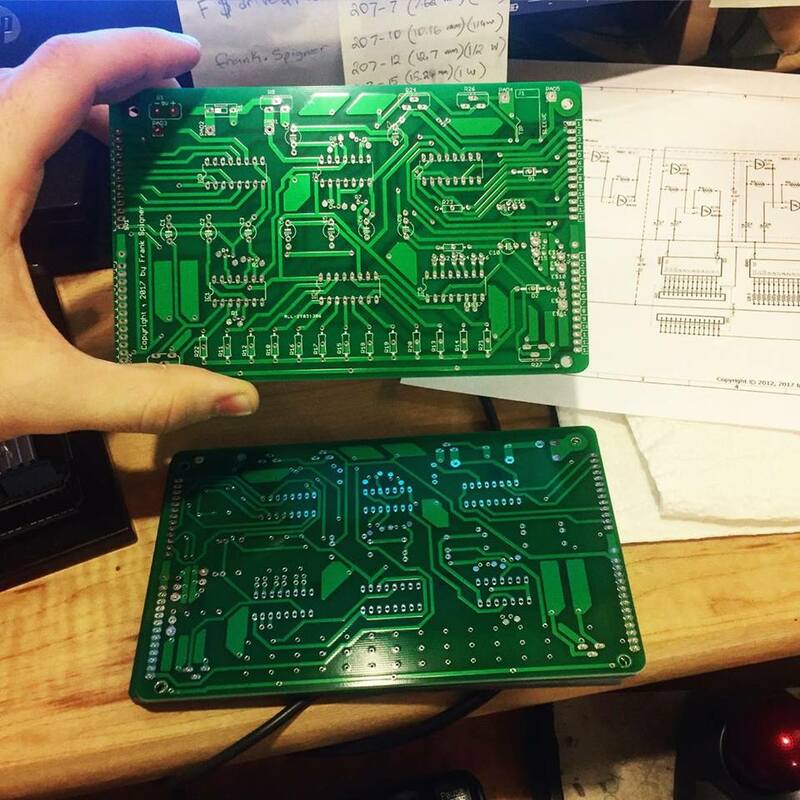 This project is currently underway as the first prototype of the main board has been manufactured and is being revised right now and a panelized version of the three PCBs are almost ready to be sent for manufacturing. 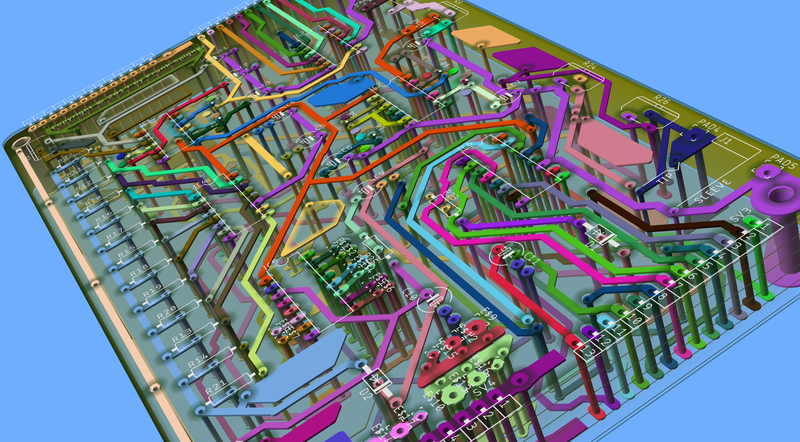 Gerber file visualization, manufacturer’s documentation. 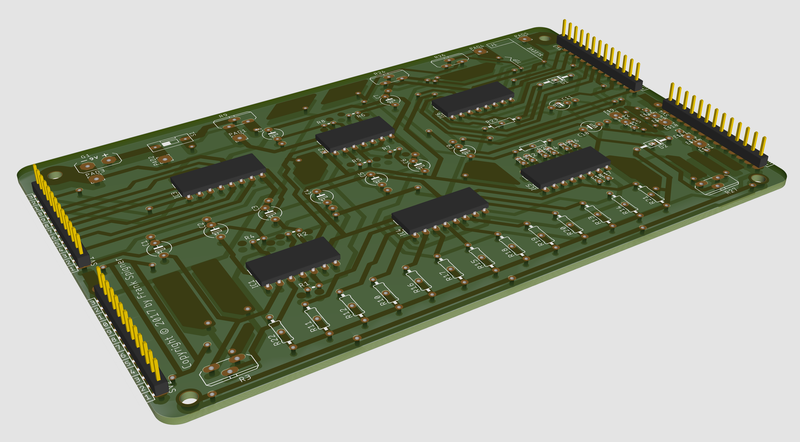 The second project I would like to work on is an ultrasonic proximity voltage control unit which will consist of an HC-SR04 ultrasonic module and it will have firmware coded on an Atmel AVR microcontroller. 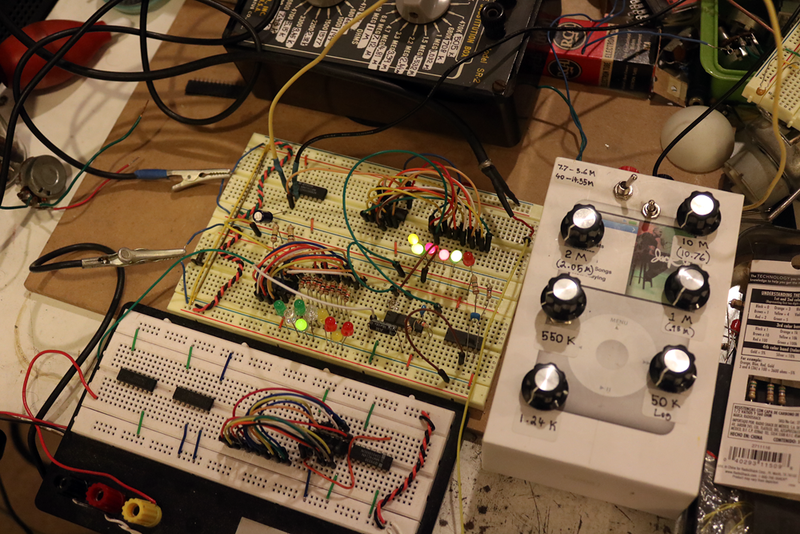 It will have a power regulator with a TIP120 to manipulate external voltages and all parameters will be fully scalable, allowing for the unit to be interfaced with any analog synthesizer. 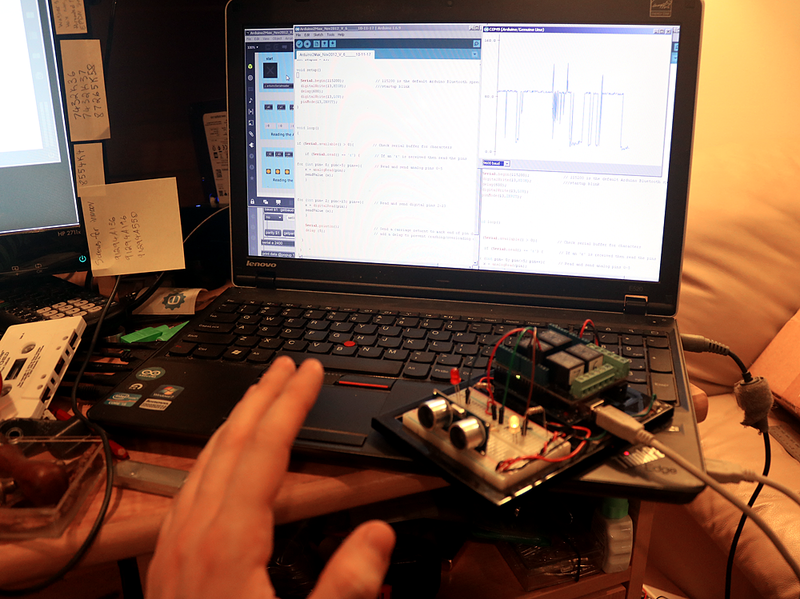 It will also be able to easily interface with a computer so as to make interaction with software such as Max/MSP/Jitter easy and user-friendly. I am interested in creating a new tool for Serial/MIDI control on a platform that is flexible and adaptable for a variety of applications. 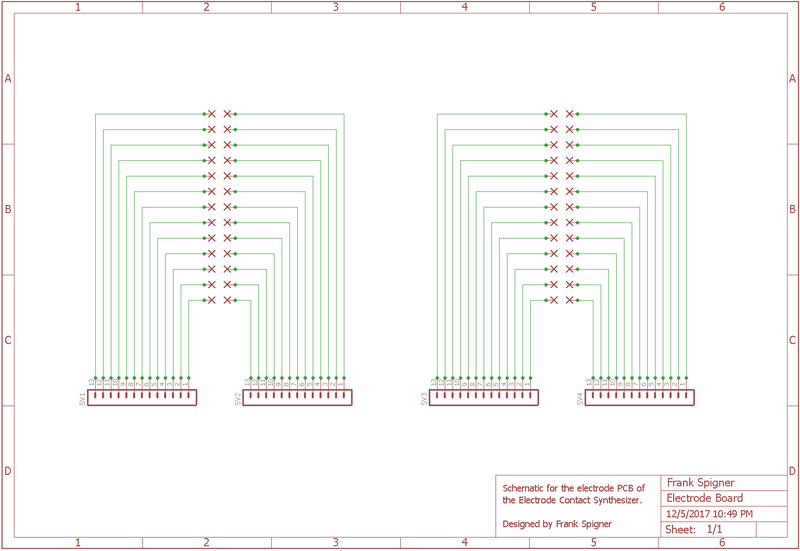 This piece of equipment could be adapted for any preexisting piece of hardware, such as a joystick, and would be easily re-configurable for any user. 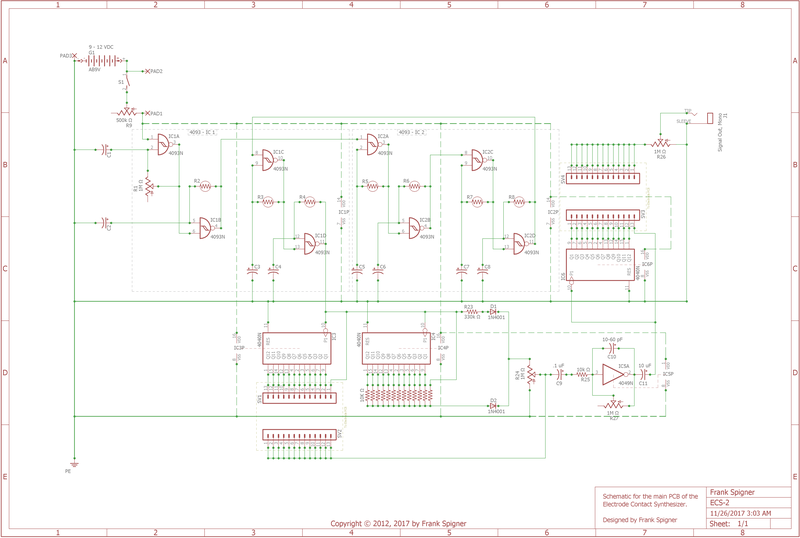 For this project, I am looking into building the hardware architecture around one of the ARM Cortex series RISC devices. One idea that I’ve had for a long time that I would like to complete during my residency is a new type of synthesizer designed to be used as an educational toy for facilitating electronic music pedagogy for children. The synthesizer is a modular design in which interlocking Lego-like bricks (which I will 3D print with PLA or ABS polymers) house a very small oscillator, filter, or noise source. Each brick has conductive contact points on the top and bottom. When the bricks are built upon each other, the conductive points come into contact with each other, completing a circuit. The effect would be that one block, or sound source, would modulate the subsequent blocks as they are built up. There may also be color coordination for each block representing a different sonic parameter. The results would be a sonic, visual, and tactile experience demonstrating modularity and electronic sound phenomena while creating a means for artistic and musical expression. Beyond the hardware projects are two compositions that I would like to perform and/or record during my residency. The first is a piece for Alto Sax and Electronics. I am currently in the planning stages of composing this piece to be performed by a frequent collaborator of mine, Nathan Bellott, and myself on electronics. The piece would incorporate new hardware design as well as a spatial component in which digital signal processing and multichannel mixing is used to create spatial depth and manipulate the sound in a physical and sculptural manner. The second piece I would like to produce is a purely electronic composition composed of synthesized sounds as well as field recordings that I gathered during a previous residency at the Catwalk Institute in Catskill, NY. These field recordings consist of nature sounds that explore the ecological, geographic, and other environmental facets of Catskill and the surrounding Hudson Valley area. The recordings utilize extended recording techniques, the fabrication of new microphones and electronic devices, and the use of the field recorder and the recording studio as creative tools and as instruments. I would like to use my time during my residency at Harvestworks to complete a multichannel immersive composition utilizing these field recordings.